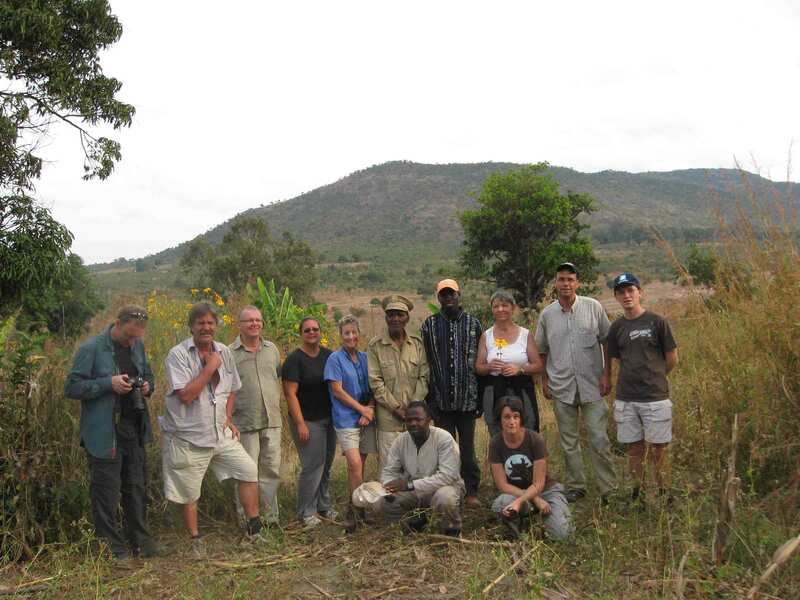 Angola Field Group members meet the soba of Mount Sumi on their May field trip to Huambo. Are you a person who chooses adventure over luxury? Who welcomes the spice of unpredictability here and there? Who craves the balm of fresh air, some exercise and new surroundings inside Angola? If so, head for the hills to Huambo with the Angola Field Group, October 30, 31, November 01, 02 (public holiday). Friday, arrival in Huambo early evening. It’s approximately a 9 hour drive from Luanda to Huambo. Saturday early morning we will hike from Quissala to the Trapa Sisters’ farm in Soque where we will have lunch and then Sister Manuela will guide us on a tour showing the farm, the medical lab where some traditional medicines, soaps and shampoos are made, and the girls’ school. Sunday we head off early for Bailundo, 82 kilometers northeast of Huambo to see and learn about this ancient kingdom founded in the fifteenth century and still exists today headed by King Ekuikui IV. (We are still awaiting approval from the palace but in any case an alternative program exists.) Monday early morning departure for Luanda stopping for lunch and shopping in Quibala market. We will be accommodated in a homestay run by our guide, a Swiss expat who has made Huambo his home for the past 6 years. Meals will be provided by the homestay except one lunch and one dinner. Shared accommodations. Total for the 3 nights per person is approximately $450.00. Trying on vintage jackets in Huambo city's big informal market, ‘Mercado Alemanha’ during the May field trip to Huambo.